Virtual Desktop Infrastructure (VDI) is a virtual environment that is implemented to reduce hardware dependency and improve flexibility. Many offices are adopting the VDI technology to cut down on recurring hardware costs and prevent IT-related issues. According to research by Research And Markets, the global Virtual Desktop Infrastructure (VDI) market is expected to have a CAGR of 27% during the forecast period 2016-2023. The growing rise of VDI market is due to the fact that operational bottlenecks have hampered the business operations for far too long. Some of these include lack of remote accessibility, high power requirements, and inability to deploy a secure infrastructure for data protection, among others. 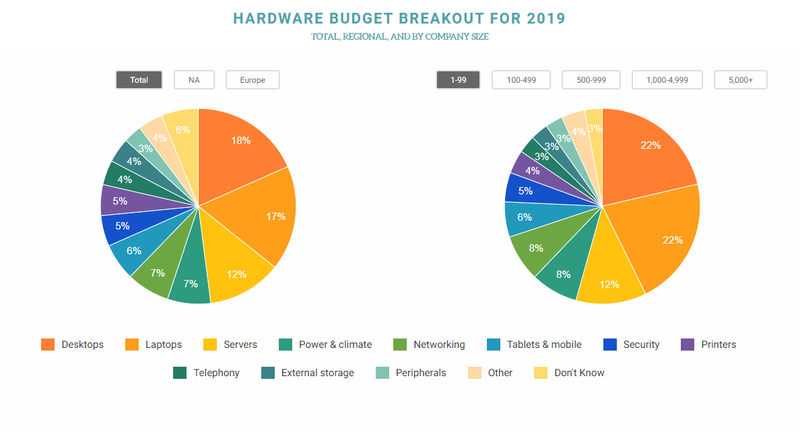 According to Spiceworks, businesses are expected to spend 35 percent of their revenue on hardware in 2019. This number speaks for itself showcasing the dependency on hardware and the cost associated with it. 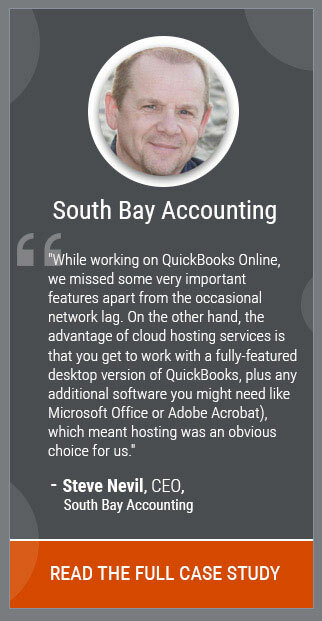 Out of the total hardware used in the offices, 18 percent accounts for desktops making it the highest. No wonder why most businesses are adopting VDI technology! However, sighting the requirement of virtual desktops, the cloud providers have introduced a new service known as Desktop as a Service (DaaS). Just like other cloud models such as IaaS and SaaS, DaaS offers virtual desktop services to their customers at an affordable price. The VDI technology is implemented in the service provider’s cloud environment. Let us look at some of the aspects of VDI technology that will help businesses to optimize their office operations in 2019. Every employee desires a level of flexibility in the working hours and the freedom to leave the office anytime without leaving the work behind. The most exciting feature of VDI is that it gives employees the ability to work from a remote location. For businesses, it can be highly beneficial as the work never gets neglected even if the employee is commuting or at home. According to Forbes, the industries in various domains is seeing an increase in the number of remote workers. Hence, it is expected to keep up the trend in 2019 as well. From the employees’ perspective, remote work helps them maintain a work-life balance as they can manage their personal tasks while fulfilling the professional responsibilities. Working from home also helps in reducing mental stress as you can spend more time with your loved ones. Also, it saves a lot of time spent on menial tasks such as commutation. The VDI makes your process independent of hardware restrictions as well as hassles. As the desktops are virtual, you are liberated from the local desktops and can conveniently access your virtual desktop from portable devices such as smartphones, laptops, and tablets. You can even use a thin client to access your desktop. Hence, the employees can bring their own device to work sparing the cost of hardware for business owners and improved flexibility for them. According to MarketsandMarkets, Bring Your Own Device (BYOD) & Enterprise Mobility Market is expected to grow from $71.93 Billion in 2013 to $266.17 Billion in 2019 at a CAGR of 25.2% during the forecast period. The same is achieved with the help of virtualization by creating Virtual Desktops on physical servers with each Virtual Desktop acting as a personal system for the users. Virtual Desktop Infrastructure helps the businesses to keep their data secure by eliminating the local storage of data whatsoever. As the data is stored in a remote location, presumably in remote cloud servers if you opt for a hosted desktop provider, any damage to your device do not affect the security or integrity of the data. The portable device you use is just to access the remote server. Hence, you can access your data from any device as long as you know the username and password. Even if the device gets stolen, you do not need to worry as no one will be able to access the data without the login credentials. With the implementation of VDI, virtual desktops can be divided into different domains, sometimes referred to as Desktop Pools. Let us assume that your office can be segmented into three departments – HR, Accounts, and Sales. Each of these departments requires desktops to carry out their daily tasks. However, each department has diverse roles and responsibilities. Consequently, each department requires a desktop with a different set of system specifications, software, and operating system. You can create a desktop pool for each department with each virtual desktop possessing the same specification in a particular pool. Consider the scenario of local desktop setup, where the desktops are physical in nature. If a desktop crashes or has an issue concerning storage or processor, there is no other alternative other than replacing the corrupted hardware or the desktop itself. However, in the case of VDI, virtual desktops can be provisioned very easily. As the Virtual Machine (VM) on which the desktops are hosted is virtual, any issues with the VM can be resolved by migrating your desktop to another VM. Provisioning of new desktops for your office is a nuisance as it involves assigning physical space, installation of operating system, and software, setting permissions, etc. Imagine 20 employees joining your office at the same time and provisioning the desktop for each. Moreover, if you want to reduce the number of desktops, what will you do with the physical machines? The solution is Virtual Desktop Infrastructure. You can provision virtual desktops in a matter of seconds. The virtual nature of desktops enables you to add or delete the desktop with the help of a management portal where you can view and manage all the desktops. The physical desktops come with a specific set of specification like processor, RAM, storage, etc. Although you can upgrade the desktops, it involves the tedious task of hardware replacement detested by the IT department. Moreover, the changing hardware requirement with each software upgrade, it is not feasible to keep replacing the hardware. The VDI technology enables the desktops to scale almost instantaneously. When the VDI is implemented in the cloud environment, the flexibility of cloud enables the virtual desktops to upgrade or downgrade the specifications of the virtual desktops. Virtual Desktop Infrastructure helps in minimizing power consumption by optimizing the resources. An office with physical desktops will consume loads of electricity with each component of the desktops such as CPU, monitor, etc. requiring power to function. However, in the case of VDI, multiple virtual desktops can be created on a single server, with the power consumed by the server only. However, the server requires power for processing and cooling. An even better option is virtual desktops hosted on the cloud that enables the businesses to avail the virtual desktops from cloud providers and minimizing the power consumption in their office premises. Resource overallocation is a process that is associated with virtualization, and therefore, with VDI. With the implementation of VDI, the businesses can optimize resource utilization, and the costs related to it. 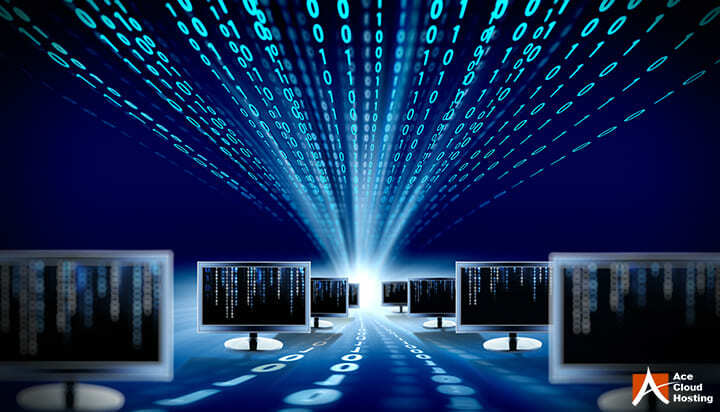 With VDI, a virtual desktop can utilize the server resources of other desktops if some of them are in idle state or not using the total resources allocated to them. Imagine a server with 128 GB RAM hosting 8 virtual desktops, each desktop allotted with 16 GB RAM. Once a desktop utilizes its 16 GB of RAM, it can utilize the RAM from other desktops, given that the other desktops are not utilizing their RAM fully. Resource Overallocation enhances the flexibility of your desktops ensuring that no desktop degrades in performance. Lastly, the factor that every business takes into consideration while setting up an office infrastructure is the associated budget. The costs associated with desktops are recurring as every hardware becomes obsolete after a certain period of time and needs to be upgraded. VDI ensures the use of less hardware by creating multiple virtual desktops on a single server. The reduces the physical space required for the desktop, and you can use a more compact setting for your office. 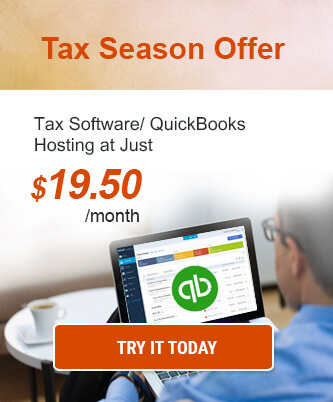 Moreover, the cost related to desktop replacement and upgrade is also reduced. Another alternative is DaaS, where even the servers are hosted by cloud service providers reducing the Capital Expenditure even more. 2019 is the year to look forward to with respects to VDI technology. As more and more businesses are adopting the technology, the cloud providers are also stepping up by introducing DaaS as a part of their services. VDI not only reduces Capital Expenditure but also eliminates hardware dependency. BYOD is another concept that gives employees the ability to work on their own devices and offers them remote accessibility. VDI reduces IT-related issues by implementing easy provisioning of desktops, scalability, easy upgrades, and resource overallocation. The data is protected even if your device is stolen or damaged as the data is stored on remote servers. Have you implemented VDI in your office yet? Do tell us in the comments section. 10 Things Most People Don’t Know About VDI 5 Ways Hosted Virtual Desktop Can Help Your Accounting Business What Is VDI And How Does It Work? How Can VDI Help Optimize the Performance of Your Business? Great, This vital piece of information is very good & Informative related to VDI services. The Content that you have provided is very excellent. Keep going..! !